If you're looking to try a variety of beauty products, make your own toiletries or want to try a beauty treatment without visiting a spa then your wish could come true in a box! Beauty subscription boxes have been around for a while and the number available has risen over the past few years as more and more have launched. The concept is simple - you pay a subscription fee and a box containing a small range of beauty products are sent to you to try in your home – how often this happens and what you pay varies widely. The boxes vary from high-end and specialist to themed - usually the monthly price of a box is cheaper than what you would pay for one of the items individually so they appear to offer good value. While some of the items are sample size, others come at their regular shop-sold size meaning you really are getting value for money. The boxes also range from more cosmetic-focused to skincare-focused so you really do have a wide range to choose from - we've highlighted a few of the very different box offerings. Cohorted offers luxury hand-picked brands. Arriving in a sleek black box with a satin tied bow as well as better known brands they send a new “discovery” brand, so something you won’t have tried before. Offerings in January included favorites like Nars’ limited collection Andy Warhol eye shadow, Lancome eye cream and Smith & Cult nail varnish (a hot brand from the creator of Hard Candy). There was also a super-useful foundation brush and some ingenious anti-frizz helpers from top New York stylist Nunzio Saviano in the mix. The monthly subscription price for this box is £35. 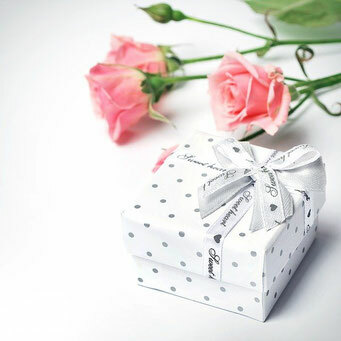 Other well-known beauty boxes include GlossyBox, BirchboxUK, My Little Box – website and twitter details below. If you want to make your own soap or toiletries then The Soap Kitchen can send you a boxed DIY kit. The Soap Kitchen prides it’s self in being the go to place for everything you're likely to need to make your own soaps, toiletries and candles. In their 'Creative Suite' in Bideford, Devon, they carry out all their own manufacturing and design work and they run regular creative workshops and courses to get you started. Feeling inspired to try making your own soap and toiletries then they offer various boxed kits like the - Fruity Bath Bomb Making Kit. Each kit contains enough base ingredients to make approximately 6 large bath bombs using the moulds supplied. If you're looking for a present with a difference then a gift voucher from The Soap Kitchen could be the answer. The lucky recipient can view the range of DIY kits available and order their box on-line or even use it to attend one of the workshops. Inner-Soul, run by founder and holistic skincare specialist Emma Coleman, not only operates a private clinic but also offers bespoke beauty treatments in a box. Designed to give skin some much needed TLC, the Home Kits provide a two-week programme of natural face treatments and dietary input to nourish skin. As a qualified Aesthetic Nurse, Clinical Aromatherapist and Skin Nutritionist, Emma is always on-hand to offer extra advice during the two-week programme. 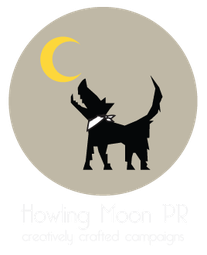 They will send you a questionnaire via e-mail or post to complete. This asks questions about your skin and its behaviour plus any allergies, medical history, etc. Inner Soul also make a range of skincare products all available boxed and delivered to your home. 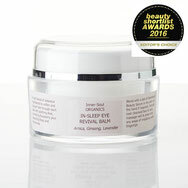 Made freshly to order their In-Sleep Eye Revival Balm is an award-winning skincare treatment created using fine quality antioxidant extracts to balance the skin.